The BPM Studio Pro 4.6 is functional audio production software. It is an MP3 DJ system for expert DJs, dancing schools, restaurant proprietors, radio stations and other entertainment centers. It has basic functions such as mixing, looping, editing, pitching, and cue-point setting along with many exceptional functions for flexible background music and live mixing. 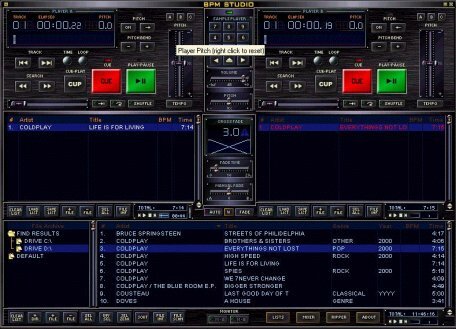 BPM Studio Pro contain two smooth-running players with separate play lists, a sample editor, an equalizer, a sample player, an integrated mixer, an automatic BPM counter, a CD writer, and an automatic cross fader..